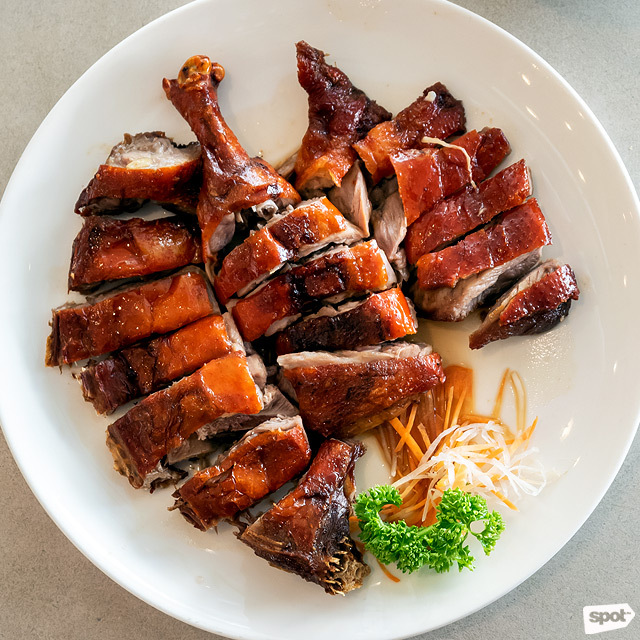 (SPOT.ph) If you want to go beyond small bites of dim sum or heaping servings of yang chow fried rice, another satisfying dish that delivers crave-worthy Cantonese flavors is roast duck. It’s indulgent enough for an occasional treat; but it’s also not as expensive as its luxurious counterpart—the Peking duck—making it an affordable option if you’re looking for that distinctive smoky flavor that’ll take you back to Hong Kong. 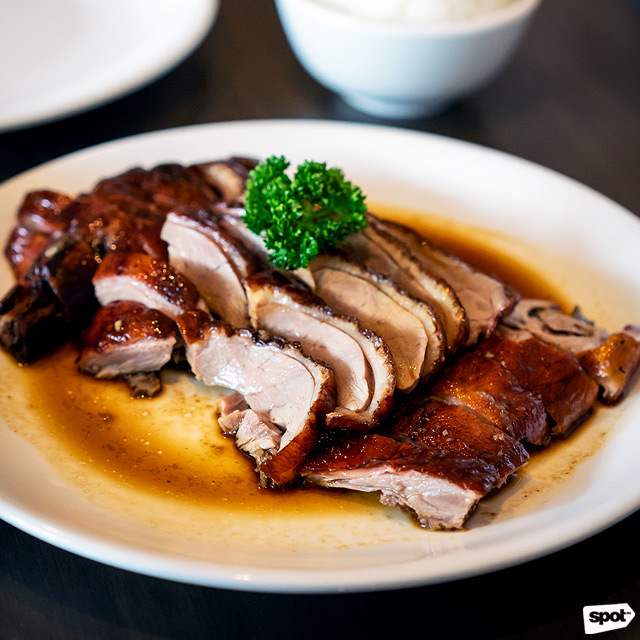 So if you’re looking for a roast duck that’s sinfully flavorful, crispy-on-the-outside and tender-on-the-inside, and succulent, these are the best restaurants around the Metro to check out. 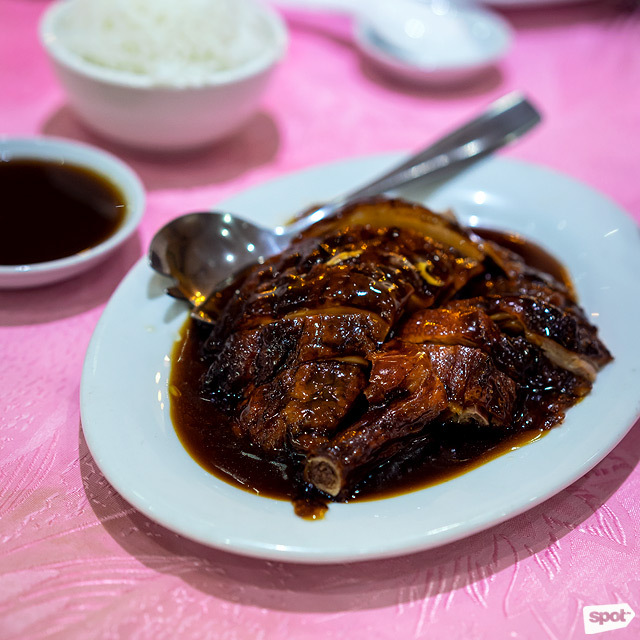 This little-known Cantonese restaurant provides the cheapest (yet one of the most high-quality) roast duck available in town. 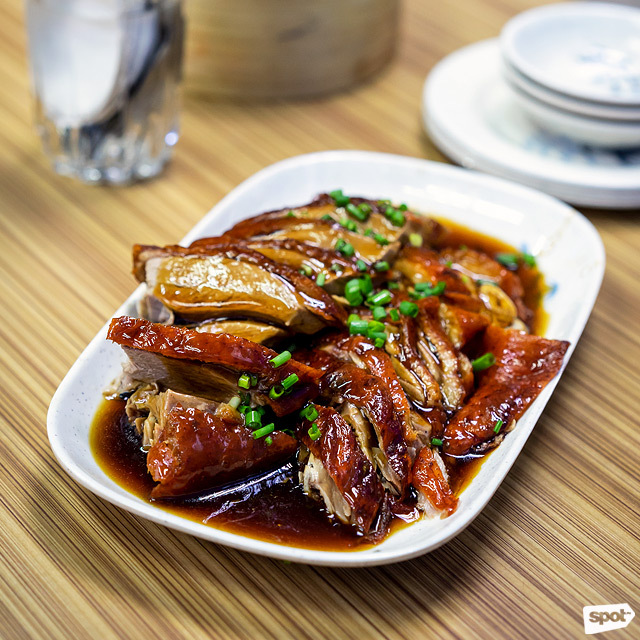 Luk Foo’s roast duck is salty and has a distinctive slightly smoky flavor. Biting into a piece and tasting its skin is a satisfying trip back to those no-fuss sidewalk stalls in Hong Kong. If you like your duck dry rather than swimming in drippings, this one’s for you. Luk Foo has branches all over Metro Manila. 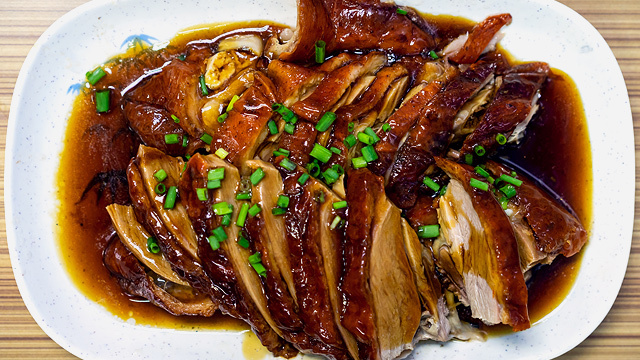 A little bit of fat never hurt anyone, especially when it comes to roast duck. Famous Kitchen’s offering has a thin layer of fat that pairs well with the meat’s robust flavor. It’s hard to come by a cut of duck that’s tender all over, but you can be sure that you won’t be fighting with any gumminess with Famous Kitchen’s roasting. 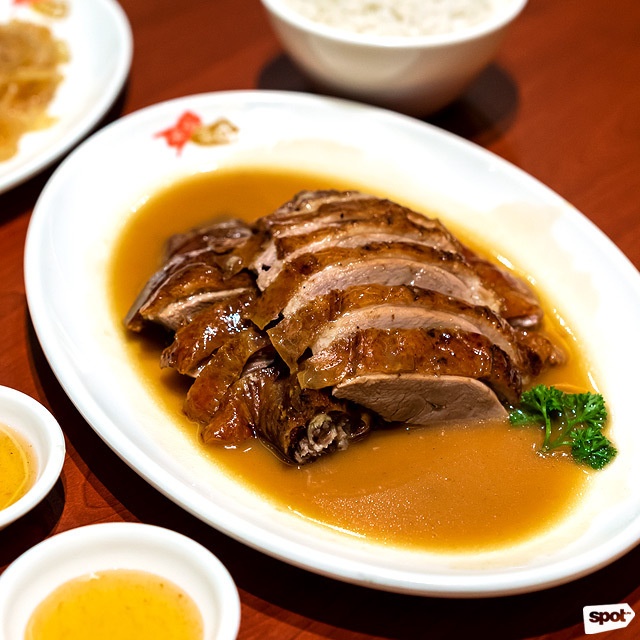 The duck also comes with complimentary soup and a sweet plum sauce, the perfect foil for that comforting roast. If you’re going for bang for buck, this one’s another good choice. See a list of Famous Kitchen branches. 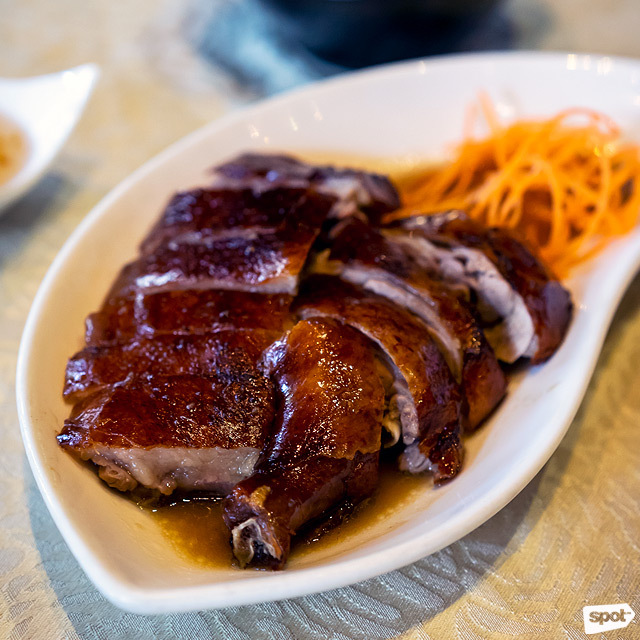 Crystal Jade offers a roast duck with skin that’s so crispy, you hear a crunch with every bite. One of the most expensive offerings in the Metro, you’ll have to be willing to part with at least a thousand bucks for a small portion. That said, if you’re looking for top-notch service and don't want to settle for duck skin that’s subpar, then you’ll find this version worth every peso. Crystal Jade is at 7th Avenue, Bonifacio High Street, Bonifacio Global City. Roast duck is often difficult to deal with. 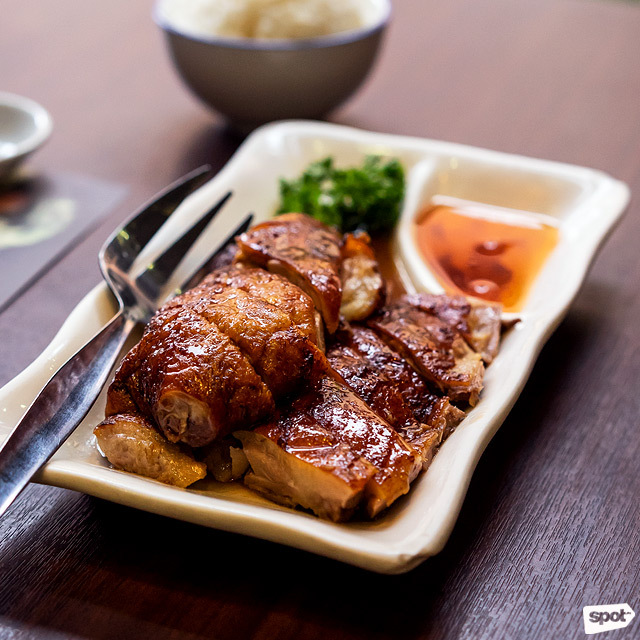 While most Chinese restaurants will only give you a pair of chopsticks, duck often requires a vigorous power play between meat and knife. At Gloria Maris, however, the duck is so tender that the meat just falls off the bone. As soon as your waiter walks over to you from the kitchen, you’ll get a tantalizing whiff of this delicious dish. Great-looking plating, a delectable sweet-ish glaze, crisp skin, and an extremely meaty and well-seasoned duck (even if you just order the small plate) make this a winner. See a list of Gloria Maris branches. Chinese food snobs will only head straight to the source for authentic dishes. President Grand Palace is one of Binondo’s most famous restaurants and their duck is proof that its reputation is well earned. Their Peking Duck is different—it's doused in a dark glaze, which exudes a fuller, bolder flavor than most ducks you’ll find around the city. 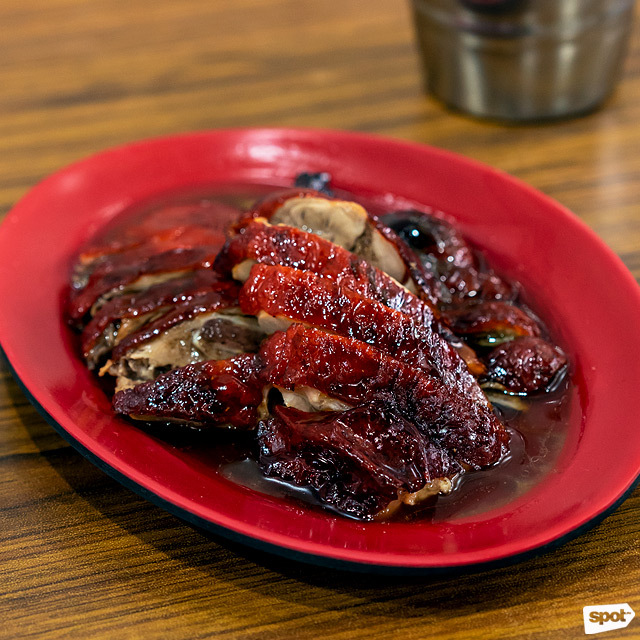 The dipping sauce stands out for its sweet and tangy taste that goes so well with the duck. Meanwhile, the roast duck offers a subtler, less in-your-face flavor, which is perfect because this Chinatown institution also offers other cooking options for their duck: have it braised with veggies or wrapped in soft pita. President Grand Palace is at 746-750 Ongpin Street, Binondo, Manila City. 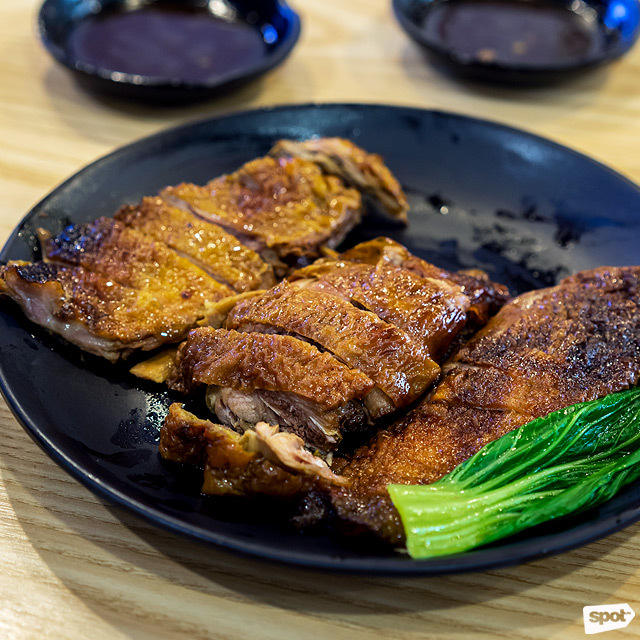 A small-sized serving of Tai Koo HK Roast's duck delivers substantial heft—a fact worth noting since duck is famous for being extremely bony. Their roast duck is straight to the point and without any frills. It offers a very simple and neutral flavor that is good enough for a quick duck-rice fix at any time of the day. One of the reasons this dish is so good is its sauce. Instead of the usual plum dip, you get glorious and tasty drippings instead (best eaten with rice, of course). Tai Koo HK Roast has branches in Salcedo Village, Makati City; The Podium, Ortigas, Mandaluyong City; and SM City Manila, Manila City. If you’ve got an in on the Binondo food scene, chances are you’ve witnessed the long lines that extend right outside Wai Ying’s narrow space. This cult favorite is so busy at lunchtime, your best bet is going after the crowd dissipates or right before it hits (Duck for breakfast? Why not!). Their standard quarter duck offers more meat than most and is presented beautifully, which will make you want to chow on it, pronto. While most Binondo restaurants offer their duck swimming in a sweet-ish sauce, Wai Ying’s is considerably drier. The dish merges Chinese-style duck with a more commercial oomph, making it a perennial must-try. Wai Ying is at 810 Benavidez Street, Binondo, Manila City. One of the best gas-station outposts in the city, 8 Treasures Roasting has been known for their rare roast goose offerings since it opened. Their duck, however, is a mighty contender too—with a strong and pungent fragrance you’ll detect as soon as you walk through the door. The duck tastes as good as it smells, with a substantially crisp skin and tender meat. 8 Treasures Roasting’s roast duck is a great choice for those who don’t want anything too sinful—it isn’t drowning in fat, yet the taste is rich and flavorful. 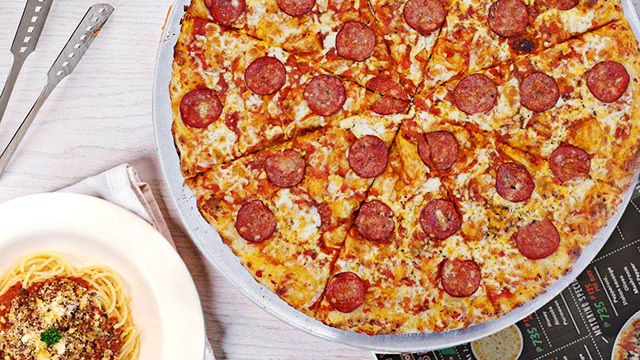 The next time you’re caught in EDSA traffic, consider making this your next stopover. 8 Treasures Roasting is at Petron Gas Station, EDSA corner Arnaiz Street, Dasmariñas Village, Makati City. Aside from Binondo, another famous place for Chinese food in the Metro is Banawe. And even if people from the south might find it a bit too far, this little side-street restaurant is worth the drive for their signature roast duck. 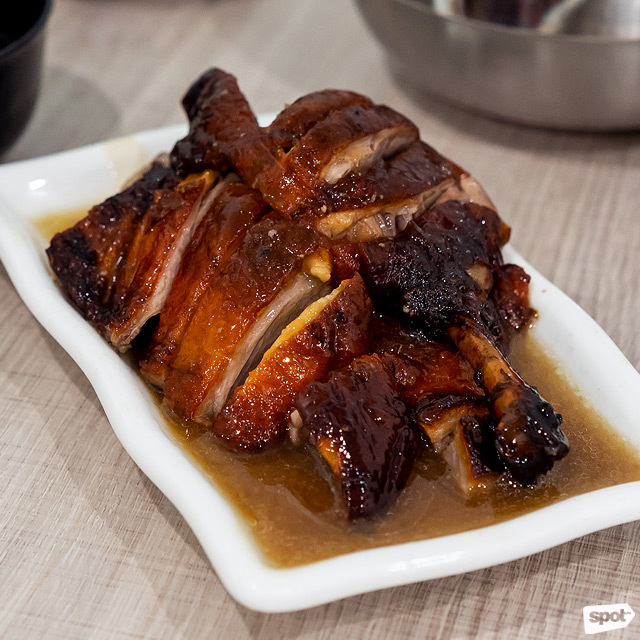 Owned by the same folks behind Eat Fresh, Tuen Mun Roast’s duck is unquestionably one of the best. It is pleasantly juicy, fork-tender, and has just the right amount of fattiness. One of the cheaper whole ducks out there (it even comes with special packaging so you know it’s a take-out favorite), this version is so satisfying you will want to savor every piece, down to the bone. The simple restaurant offers a takeout counter, too, but we recommend grabbing a table so you get your duck, which is drowning in a rich succulent sauce, as freshly cooked as possible. You won’t regret it. 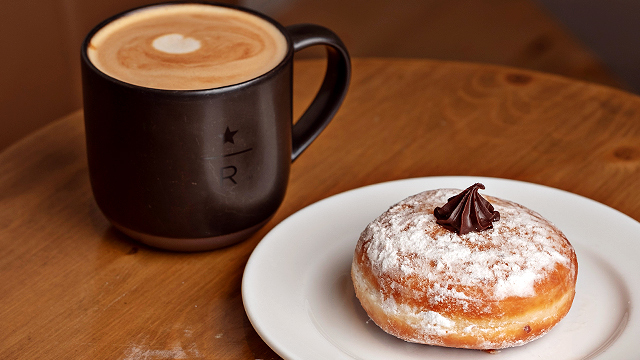 Tuen Mun Roasts is at 81-A Nicanor Roxas Street, Barangay Sto. Domingo, Quezon City. Hong Kong’s famous Michelin-starred restaurant has only been open in Manila for a few months but it is already deserving of its accolades. Kam’s Roast has the most variations of roast duck in the Metro because you can choose which portion of the duck you want. The flavor is decidedly neutral—never overwhelming, it’s juicy and meaty at the same time. One distinction it has over other roast ducks is the peanuts in its sauce, adding a subtly sweet layer to the flavors you get from this dish. The skin is cooked to a perfect crisp in most parts with just the right amount of fat hiding underneath, making you get that rich flavor you’re looking for without going on a cholesterol overload. Worth the hype, this one merits a visit. Kam’s Roast is at 3/F Mega Fashion Hall, SM Megamall, Ortigas, Mandaluyong City.